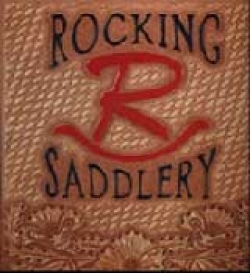 Rocking R Saddlery, Inc. was established in 1994. Founder, Randall Black, was a second generation saddle maker with over 25 years of experience in saddle building. Here at Rocking R we take pride in using only top quality materials to produce exclusive saddles without taking any short cuts while keeping prices low and affordable. We begin by choosing Steele Saddle trees for the foundation. Using high-grade leather is essential, because we hand-tool designs and patterns onto our saddles. To insure quality and durability we line all our strap work with latigo and use stainless steel for rigging and hardware.